Put the power of the latest advancements in bio-active technology to work. There are no harsh chemicals orÂ pollutants. It is composed of billions of aggressive bacteria, fortified with a unique free enzyme system,Â which liquefies waste and keeps drains free-flowing. 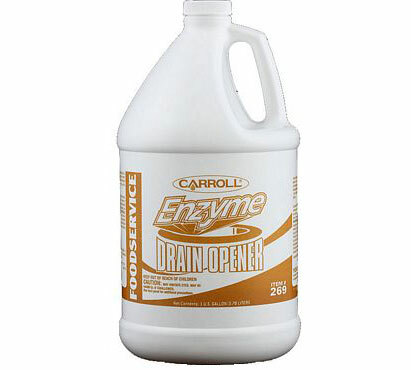 The special blend of beneficial bacteria and enzymesÂ effectively combats clogs caused by soap, hair, food, grease, and other common wastes. It is safe and easyÂ to use and is not harmful to the environment, plumbing, or septic systems. It is ideal for use in restaurantsÂ and food service operations.